September 28, 2016, was a cloudy but bright day in Wells, Maine. Perfect for snapping Downeasters. Luckily I caught northbound 683 from Boston to Portland at about 1:11, a minute late, and southbound 684 from Portland to Boston at 1:19, two minutes late. Pretty good time keeping. Both trains were sparkling clean and well patronized. In October passengers will be bused to and from stations north of Wells while track work is done for a month or so. There are now five round trips a day (reduced to four during busing), and after a period of delays from other track issues on times have increased dramatically. Sadly, I had hoped to catch a dome car, but it went with summer. November 5, 2016 was a very happy day for my camera and me. 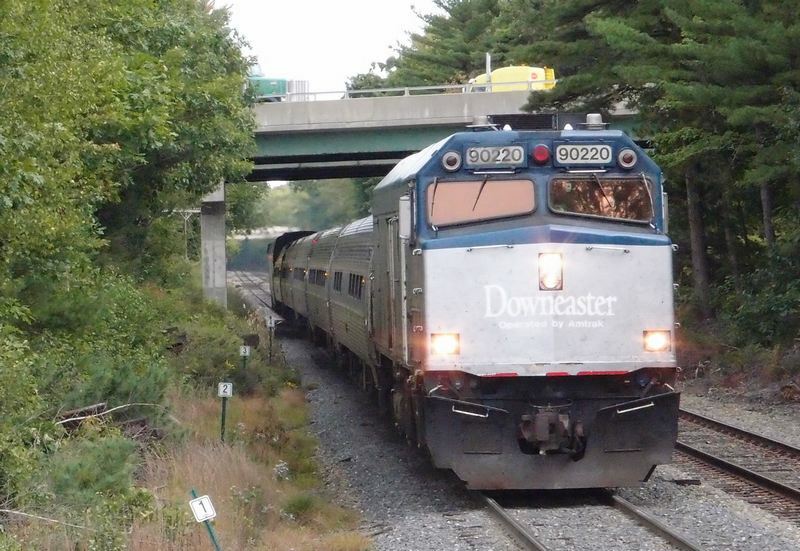 Here's the "new" Lake Shore Limited's Boston section cruising west through Westborough, Mass, a couple of miles from where I live, on a beautiful autumn day. For a couple of years the train had been reduced to a coach only stub to Rensselaer, NYwhile track work was done in the station area. Now its back to being a through train to Chicago with a sleeper and new business class seating. The train in the photo was on time and gleaming. Given this is a pre-election weekend we can only wonder what happens in the future, but both candidates seem to be talking positively about passenger rail. And Amtrak is enjoying higher patronage and making positive changes around the country. Given the really awful quality of our presidential election one has to be positive. And ride a train like this one. Who knows, maybe Amtrak will restore inland service from Boston to Worcester, Albany and New York. Lets make passenger rail great again! January 29, 2017. 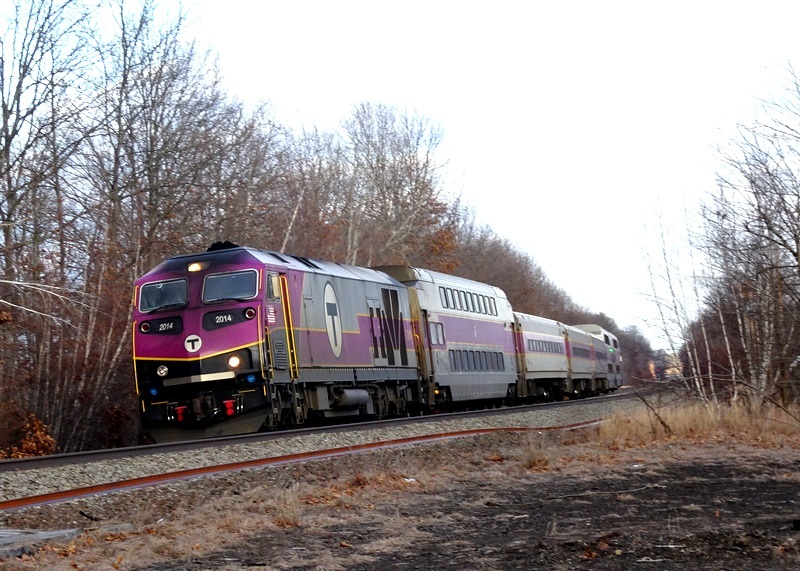 First photo of the year captured an MBTA local train on its run between Boston and Worcester, with a stop a mile away in Westborough. There has been slow but steady progress on this line which now includes express runs between Boston and Worcester and much better on time data. I don't know if the engine on this train is one of the new ones promised the line. There are some hopes that the MBTA can be extended to Springfield, where there would be good connections to New York and south. News on the national front is much more confused. 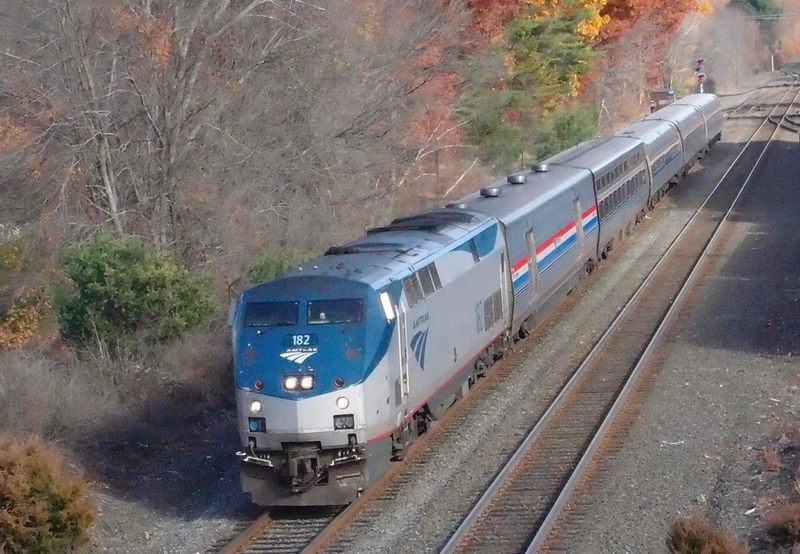 President Trump has mentioned his interest in passenger rail and it is hoped that infrastructure planning will increased federal Amtrak funding. On the bad news side Heritage Foundation recommendations include defunding Amtrak completely. Several powerful voices in the administration do take Heritage recommendations as holy writ. It's no secret that the Trump administration, despite good words on trains, infrastructure and serving rural populations, has targeted long distance trains for abolition. While much the administration says is not credible, we have to be careful that Amtrak is not lost in a sea of environmental, healthcare, health research and other big ticket items. 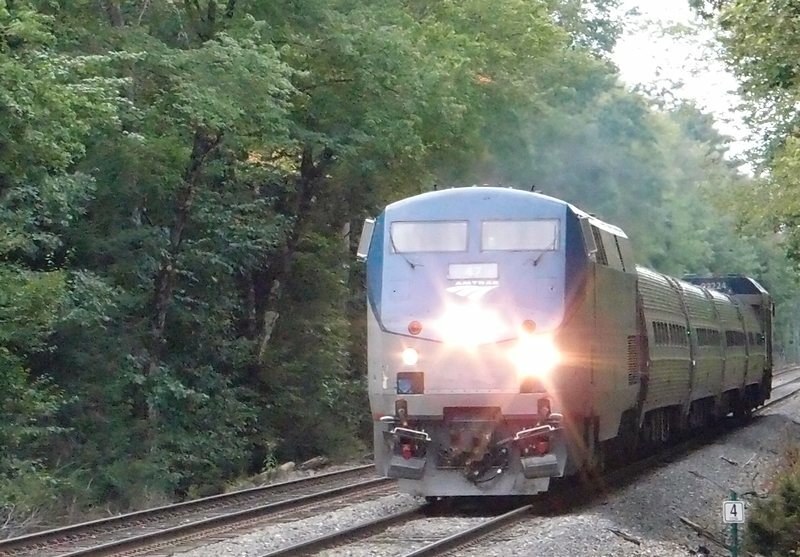 And, at a minimum, the proposed White House elimination of long distance routes would result in the 220 towns and cities losing all Amtrak service." 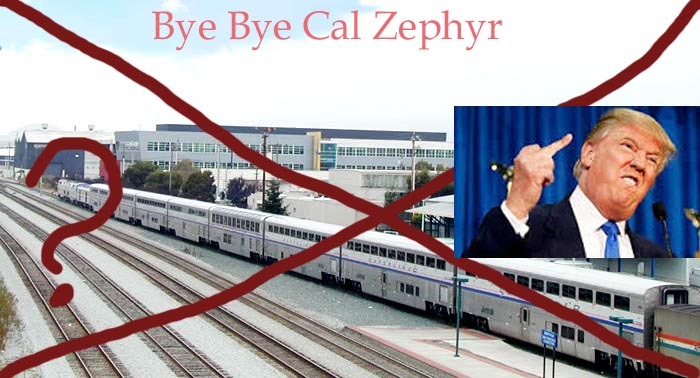 The photo is of the California Zephyr ready to depart from Emeryville to Chicago. Given long distance investments in their own countries I hope we do not have to say 'California Zephyr' in Russian or Chinese. Changes last made on: March 31, 2017.